Avoiding NSAIDS like Ibuprofen and naproxen because of their potential side effects? Here are botanical alternatives that may fit the bill. This golden spice, ground from the rhizomes of a plant related to ginger, is a staple of Ayurvedic medicine; its active ingredient is curcumin. Turmeric has been cited in more than 2,500 published studies on numerous conditions, including asthma and cancer. In 2009, the Journal of Alternative and Complementary Medicinefound that curcumin is about as effective as ibuprofen in reducing the pain of osteoarthritis of the knee. Like many other botanicals, curcumin is not a quick fix and can take up to two months to be effective. In capsule form, take 750 to 1,500 mg daily. Many practitioners also suggest topical creams containing curcumin. 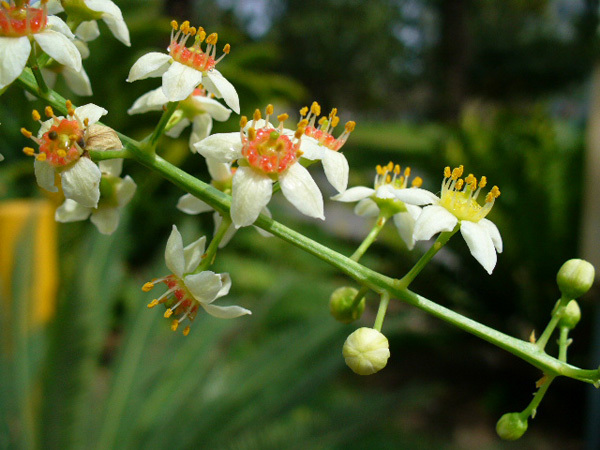 This tree produces a resin that is used in incense and is another staple of Ayurvedic medicine. It is used to treat arthritis, ulcerative colitis, coughs, and asthma. Also known as Indian frankincense. In capsule form, take 300 to 400 mg three times daily. 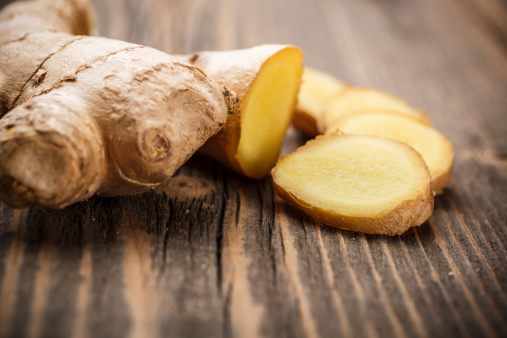 People training for a marathon may want to try this Ayurvedic staple instead of NSAIDs: According to studies, taking ginger can reduce exercise-induced pain by up to 25 percent. Turmeric, boswellia, and ginger are often mixed together into one compound along with black pepper, which is thought to aid absorption. In capsule form, take 500 to 1,000 mg two to three times daily. 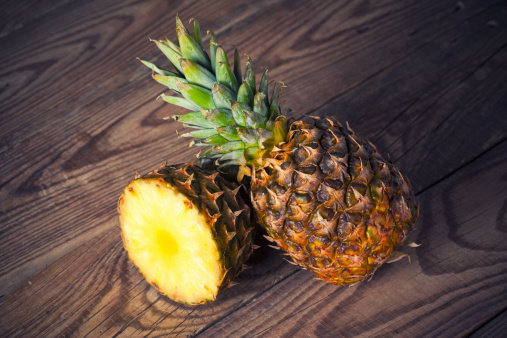 An enzyme derived from pineapple, bromelain has long been used to combat indigestion and inflammation. Recent studies indicate that bromelain might be helpful for both workout-related injuries as well as arthritis. In capsule form, take 250 to 750 mg three times daily without food. 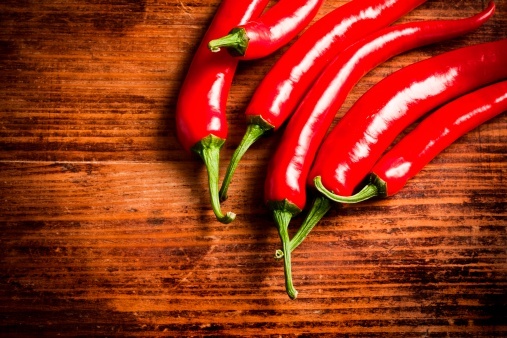 The active compound that gives cayenne peppers their heat, capsaicin is made into a topical cream used to treat both muscle aches and arthritic joint pain. It interferes with something called substance P, which is involved in both inflammation and sending pain signals to the brain. Apply capsaicin cream topically three times daily. Topical preparations from this mountain daisylike plant have been used for centuries to treat bruises, sprains, muscle aches, wound healing, joint pain, and swelling from broken bones. One study found that arnica gel worked as well as ibuprofen in reducing pain in people with arthritis in their hands. 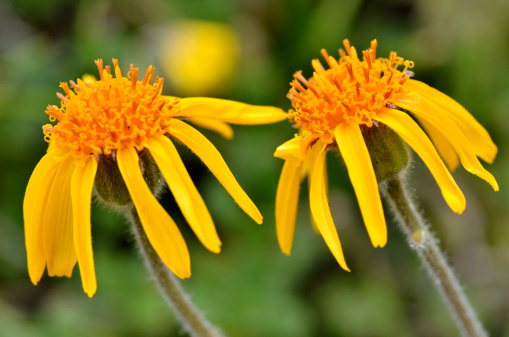 New studies suggest that arnica may help with burns and postoperative swelling. Topical preparations shouldn’t be applied to broken skin. Use arnica cream topically three times daily, or take three to four pellets (30x to 30c) three to four times daily. Once in a while I come across a study that’s so juicy I have to share it. A group of researchers at the University of Florida, Gainesville and Pennsylvania State set up a brilliant experiment. 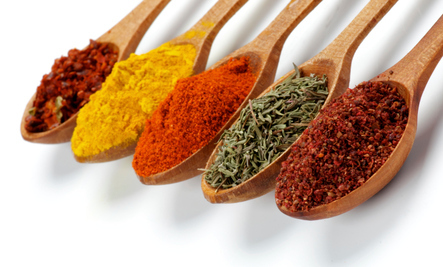 We’ve known that ounce per ounce, herbs and spices have some of the greatest antioxidant activities known. But that’s only ever been tested in a test tube. Before we can ask if an herb or spice has real health benefits, it is first necessary to determine whether it is bioavailable — whether the active ingredients are even absorbed. This had never been done, until now. The researchers could have taken the easy route and just measured the change in antioxidant level in one’s bloodstream before and after consumption, but the assumption that the appearance of antioxidant activity in the blood is an indication of bioavailability has a weakness. Maybe more gets absorbed than we think but doesn’t show up on antioxidant tests because it gets bound up to proteins or cells. So the researchers attempted to measure physiological changes in the blood. They were interested in whether absorbed compounds would be able to protect white blood cells from an oxidative or inflammatory injury—whether herb and spice consumption would protect the strands of our DNA from breaking when confronted by free radicals. I cover the DNA findings in my video, Spicing Up DNA Protection. They also wondered if the consumption might alter cellular inflammatory responses in the presence of a physiologically relevant inflammatory insult. What does this all mean? The researchers took a bunch of people and had each of them eat different types of spices for a week. 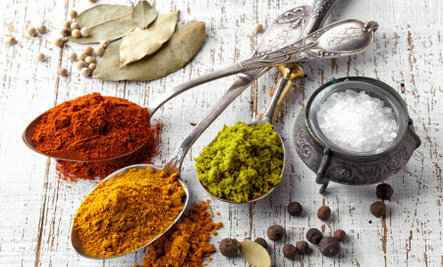 There were many truly unique things about this study, but one was that the quantity of spices that study subjects consumed was based on the usual levels of consumption in actual food. For example, the oregano group was given a half teaspoon a day—a practical quantity that people might actually eat once in a while. At the end of the week, they drew blood from the dozen or so people they had adding, for example, black pepper to their diets that week, and compared the effects of their blood to the effects of the blood of the dozen subjects on cayenne, or cinnamon, or cloves, or cumin. They had about ten different groups of people eating about ten different spices. Then they dripped their plasma (the liquid fraction of their blood) onto human white blood cells in a Petri dish that had been exposed to an inflammatory insult. The researchers wanted to pick something really inflammatory, so they chose oxidized cholesterol (which is what we’d get in our bloodstream after eating something like fried chicken. If oxidized cholesterol is a new concept for you, please check out its role in heart disease progression in my video Arterial Acne). So they jabbed the white blood cells with oxidized cholesterol and measured how much tumor necrosis factor (TNF) they produced in response. And remember, they weren’t dripping the spices themselves on these human white blood cells, but the blood of those who ate the spices. So the results represents what might happen when cells in our body are exposed to the levels of spices that circulate in our bloodstream after normal daily consumption—not megadoses in some pill. Just the amount that makes our spaghetti sauce, pumpkin pie, or curry sauce taste good. There are drugs that can do the same thing. Tumor necrosis factors are such major mediators of inflammation and inflammation-related diseases that there are TNF-blocking drugs on the market for the treatment of inflammatory diseases such as osteoarthritis, inflammatory bowel disease, psoriasis, and ankylosing spondylitis, which collectively rake in more than $20 billion a year ($15,000–$20,000 per person per year). At that price, the side effects better be hugs and rainbows. But no, the drugs carry a black label warning because they can cause things like cancer and heart failure. If only there was a cheaper, safer solution. The spice curcumin, the yellow pigment in turmeric, is substantially cheaper and safer, but does it work outside of a test tube? There’s evidence that it may help in all of the diseases for which TNF blockers are currently being used. 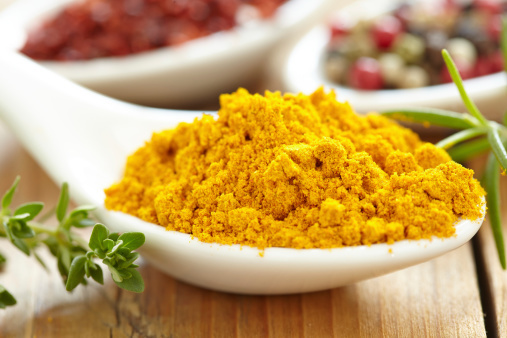 So with health-care costs and safety being such major issues, this golden spice turmeric may help provide the solution. Mushrooms (Boosting Immunity While Reducing Inflammation), nuts (Fighting Inflammation in a Nut Shell), and purple potatoes (Anti-Inflammatory Effects of Purple Potatoes) may also reduce inflammation. PS: If you haven’t yet, you can subscribe to my free videos here and watch my live year-in-review presentations Uprooting the Leading Causes of Death and More Than an Apple a Day. A founding member of the American College of Lifestyle Medicine, Michael Greger, M.D., is a physician, author, and internationally recognized speaker on nutrition, food safety, and public health issues. Currently Dr. Greger serves as the Director of Public Health and Animal Agriculture at The Humane Society of the United States. Hundreds of his nutrition videos are freely available atNutritionFacts.org. Would feeling fantastic every day make a difference in your life? Healthy Highway is a Healthy Lifestyle Company offering Lifestyle Solutions for a Happy Healthy You! Some of the best healing remedies to overcome inflammation also taste fabulous (I can’t say that about any prescription medications). Plus, foods won’t cause the nasty side effects common to most pain medications. 1. Blueberries: Blueberries are also excellent anti-inflammatory foods. They increase the amounts of compounds called heat-shock proteins that decrease as people age. When heat-shock proteins are in short supply inflammation, pain and tissue damage is the result. 3. Celery and 4. Celery Seeds: James Duke, Ph.D., author of The Green Pharmacy, found more than 20 anti-inflammatory compounds in celery and celery seeds in his research, including a substance called apigenin, which is powerful in its anti-inflammatory action. Add celery seeds to soups, stews or as a salt substitute in many recipes. 5. 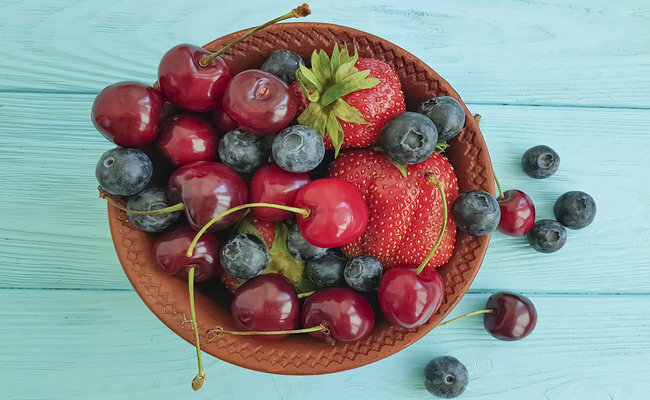 Cherries: While many people opt for aspirin as their first course of action when they feel pain, Muraleedharan Nair, PhD, professor of natural products and chemistry at Michigan State University, found that tart cherry extract is ten times more effective than aspirin at relieving inflammation. 6. Dark Green Veggies: Veggies like kale and spinach contain high amounts of alkaline minerals like calcium and magnesium. Both minerals help balance body chemistry to alleviate inflammation. 7. Fish: According to Dr. Alfred D. Steinberg, an arthritis expert at the National Institute of Health, fish oil acts directly on the immune system by suppressing 40 to 55 percent of the release of cytokines – compounds known to destroy joints and cause inflammation. 8. Flax seeds and Flax Oil: Flax seeds are high in natural oils that convert into hormone-like substances in the body to reduce inflammatory substances. Add ground flax seeds to smoothies, atop pancakes or French toast, and many other foods. Do not heat. 9. Ginger: Dr. Krishna C. Srivastava at Odense University in Denmark found that ginger was superior to non-steroidal anti-inflammatory drugs (NSAIDs) like Tylenol or Advil at alleviating inflammation. 10. Raspberries, 11. Blackberries, and 12. Strawberries: In Dr. Muraleedharan Nair’s later research she discovered that these berries have similar anti-inflammatory effects as cherries. 13. 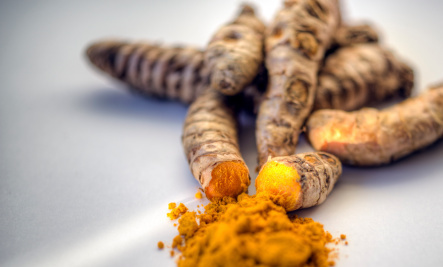 Turmeric: Research shows that the Indian spice frequently used in curries suppresses pain and inflammation through a similar mechanism as drugs like COX-1 and COX-2 inhibitors (without the harmful side effects). 14. Walnuts: Like flax seeds, raw, unsalted walnuts contain plentiful amounts of Omega 3 fatty acids that decrease pain and inflammation. Adapted from Arthritis-Proof: The Drug-Free Way to Beat Pain and Inflammation by Michelle Schoffro Cook, PhD.